33 Responses to A Class Act. Adress to send Tequilas, any brand in special? Hahaa. I liked the article. 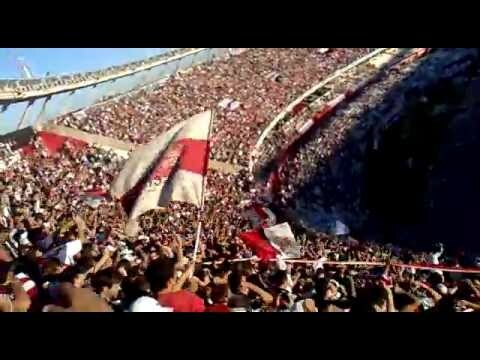 I talk about the songs because in my opinion they represent how many people here in Argentina perceive the government and the opposition movement. Thanks for commenting and I hope you keep reading and providing your input! Great article! I’d give you a tequila and salt without the hate email. Do you think that any policy parallels could be drawn between the U.S. Democratic Party’s recent attempts to impose new, higher taxes on Americans at the highest income levels (claiming that they should pay their “fair share”) and the above-discussed Argentine government’s economic discrimination against the designer-clothes-wearing Miami-vacation-taking Argentine upper class? I would be interested to hear your opinion on this comparison. Classism and racism have been longstanding problems in Argentina. Brutal killings of indigenous peoples on a wide scale happened early on in their history. I would offer many of those problems have remained because the Argentine public education system is pretty terrible. Sure, it might be good on measures like literacy…but in terms of equity or social mobility….NADA. Poor students are trapped in failing schools and are taught by less than stellar teachers. The problems are more severe in the poorer provinces (Salta, Misiones, Jujuy, etc). These teachers prepare in ed training colleges that are not consistent in quality throughout the country. Don’t believe me? Take a day trip to la UBA, Torcuato di Tella or San Andres, the purported top universities of Argentina and see how many students are dark skinned or ask how many students are from the poorer provinces. The ed system in Argentina currently ensures that you will be of the same socioeconomic class as an adult that you were as a child. 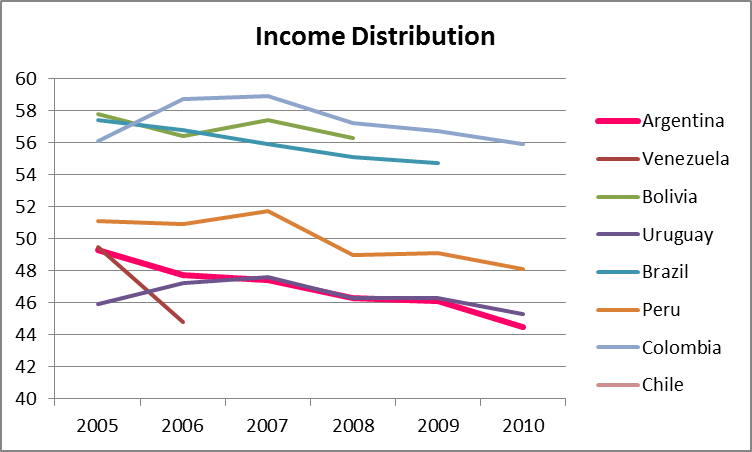 I do agree on your inclusivity between all classes point, but it’s interesting that, with the exception of Brazil and Argentina, most other countries in your Gini coefficient graph saw a slight rise in inequality in 2007 when the global financial crisis first hit. Maybe Brazil and Argentina’s experience in the financial crisis/outflow of capital area made them wiser about ways to keep money in the country. Or, maybe it’s the result of both countries’ leftist governments pouring a lot of money into helping the bottom part of the skewed inequality distributions. It doesn’t set the rate of decline in inequality in Argentina apart from neighbor countries, like you said, but it’s interesting that inequality didn’t rise as much in 2007 relative to neighbor countries. Thanks for the great comment danielle! I would have liked to have a more time/granularity to play with the data. There also might be some interesting historical factors, including the fact that maybe some of Argentina’s policies post 2001 are designed to keep the floor from sliding too low in the event of a crisis. Or, and this is my best guess, the fact that Argentina is shut out of international capital markets seriously mitigated the affect, while Brazil has enough diversification in terms of its economy that it simply wasn’t hit as hard. thanks for the comment percy – its interesting how much argentina’s growth tracked the rest of LATAM through 2008 even despite being shut out of markets. Gini coefficient is flawed especially in the case of Argentina. Having money offshore precludes it from being counted and being only calculated from declared income, it’s difficult to draw too many conclusions. One could argue that the rate of change in the gini coefficient is more significant – countries that reduce it are doing something, which could be better income declaration practices or a greater streamlining of audits. Your post has good intentions but comparing latin american countries across the board and arguing that Argentina’s policies are just riding a mutual wave is a tenuous conclusion. You could also pile on that income growth is by far the biggest reducer in gini coefficient; US has seen its increase while Russia has experienced an expected decline, but it’s a hard sell to argue that the Russian government has been pro-redistribution while the US has been making moves to gouge more of its lower bracket citizens. Having said that, I do agree with your broader point: the opposition is offering no alternative and this doesn’t bode well for the longevity of ‘the project’. More people should be digging into policy specifics rather than ideology. Argentina is – to put it mildly – complicated. There was a saying in my old economics class: there’s four types of countries, developed, developing, Japan and Argentina. Models need not apply. Thanks for the feedback – and for pointing out the flaws in the Gini coefficient. Unfortunately when playing the data game you have to go with whats out there or get a grant and collect your own 😦 I wanted to take broader poverty numbers but unfortunately they aren’t published for Argentina. And if you compare Argentina’s Gini to the US Gini since 1980 they’re almost the same. I hope you dig around more in the rest of my posts – they’re a little more specific and a little less emotional. I love your posts. Keep up the good work. There are so few places where you can find attempts to give a more objective (even when emotional) overview of the complex situation in Argentina. -YPF oil production has increased 47% since they nationalized the company 7 months ago.. Yes, the “project” is a mess. But it’s not all black and white, some things are working, its too soon to discount it yet. 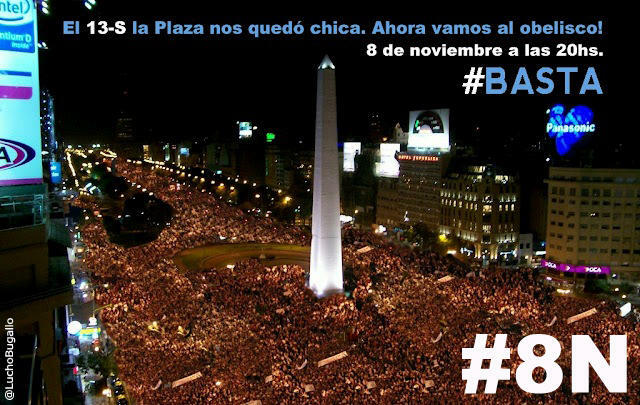 In the schizophrenic country that is Argentina, one must make a median from both sides to understand whats happening. Remember things are Grey. They are never black and white, though it may help you live with yourself or help conceive things better by discriminating. Glad as always for the counterpoints. For the benefit of the readers who aren’t as econ savvy as you and I, could you throw in some links to the facts you cite? It’d be a real help in getting a good debate going. Interesting that Laura didn’t follow up with a link substantiating her claimed 47% increase in production in seven months … but not surprising. YPF’s third quarter 2012 report shows an 0.6% increase in production versus the first three quarters of 2011: specifically, 485.2 Kboed (2012) vs. 482.5 Kboed (2011). Gotta love the way peronistas just pull numbers out of their backsides. Anyone who’s worked in the energy business knows that production doesn’t increase 47% YoY without bringing an elephant-sized new oilfield online. Thanks for the info, Jim – and YPF is so important to keep an eye on lately. Its less pulling numbers out of nowhere I think than using one or two numbers to prove a point rather than providing meaningful context. We’re all guilty of it from time to time. Reason why you may get hate mails is because you don’t fully understand, or if you do understand, you don’t fully appreciate the real history and causes of how the 2001 debt and default came about and why. I highly suggest the book by John Perkins, “Confessions of an Economic Hitman,” as a place to start if you haven’t read it yet. Or if you have read it, I suggest you re-read it with Argentina in mind. Glad you brought up ol’ Perkins. It was required reading for me in college and I re-read it on a regular basis. The ambiguous woman in the green dress seems like a good job for me if you ever hear of an opening. Comparing the states to Argentina – there is a big difference between debt in our own currency and debt in another currency. Not saying that the US shouldn’t do something about its high debt, but a default a la argentina is impossible. Debt is debt, no matter what currency it is denominated in. I will agree with you that there is a big difference between paying off Argentina’s debt and that of EEUU: you guys can print your paper and digital currency from nothing and, right now at least, the world still accepts it. And the only reason why the inflation rate in EEUU is not in double digits is because your number one “export” is paper and digital dollars created from thin air. I agree with you david. The problem with this post is that it is pedantic and it seems the writer has been influenced primarily by the bad press given by papers linked to the major financial institutions and wealthy argentines that complain about dollar restrictions because they want to launder their money out of the country. I wish she would try to be more objective, instead of saying provocative untrue comments just to generate more hits or whatever agenda she has, whether it is scaring argentine investors in order to invest with her financial company abroad, or receiving accolades from rich westerners looking down upon the unorthodox policies of Argentina. This blog is full of innuendos that if Argentina doesnt change its economic policy, a disaster will happen. It keeps on predicting that a huge crisis will occur, everything will “crash, burn and sink.” That a “disaster will happen at any moment”…. lets get a grip on reality here please. . This is DRAMA… Not objective journalism. At least the pictures are nice. The report confirms what was said above. 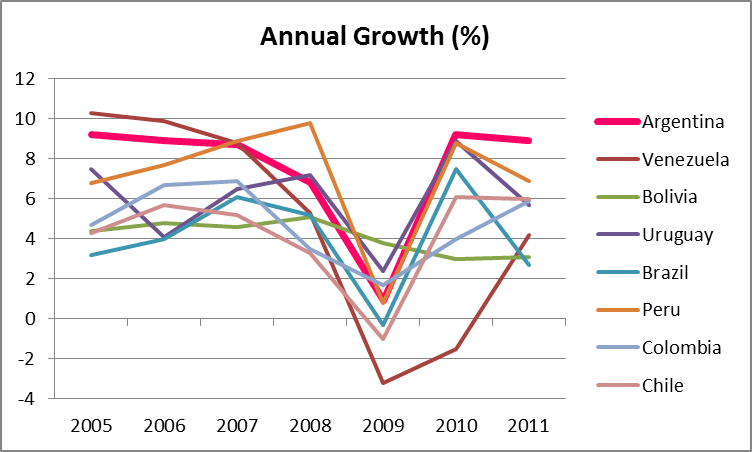 Economic growth in Argentina for 2012 is 2.2 percent and will grow in 2013 to 3.9 percent. This is due to the Brazilian economy being reactivated, a positive agriculture harvest and strong domestic demand (due to the Governments keynesian stimulus policies…) Argentina will be growing next year, despite global economic problems. Hardly the dire scene that is painted in this blog. Please notparis.com, whoever you are. I like Argentina, please don’t give it bad press just for a few cheap shots. Also, enough with this Superior foreigner complex. The country were you come from, im sure has many problems too. Hi Laura – I’m American and my country has its share of problems for sure. 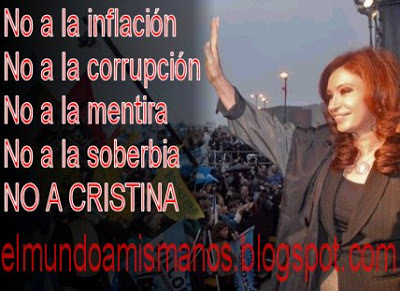 In fact, I would love to read a blog by an Argentine living in my country. My opinions on Argentina are not based on the press, they are based on my experience living and working here for the past three years. I love this country and consider it my home. If reports say that poverty is going down, they are lying. Every month there are more and more homeless families living under the bridge a few blocks from my house. Crime has gone up. People can’t afford food. My reports of rolling blackouts are based on the rolling blackouts that I suffer, not on some newspaper report. In the past 2 weeks I have lost power overnight 3 times not due to any storm – due to shortages. I do appreciate your commentary on my blog very much as I respect alternative viewpoints and thing debate between people that disagree is a very positive thing, but lay of the personal attacks yeah? I have no personal agenda except to write about what I see and experience – please continue to provide your contrary opinion but if you want to attack me personally, come visit me in Argentina, let me buy you a beer, and trust me you’ll have about a million angles to personally attack me from. Laura: I would like to get in touch with you. My email address is david at liquidenergyoasis dot com. Bianca: No worries, this is my last post on your blog. Hey David – never any worries, and I am glad that my blog encourages debate on these topics. I don’t write to compare Argentina to the US, or to defend US policy in any form as what other countries should aspire to. Additionally, I write from a specific perspective of an American professional woman living and working in Argentina and I don’t apologize for that because I think perspective matters and is valuable. Bianca – Like to give you some support on your work. Please keep it up. Also, please don’t pay too much attention to the main commenters on this story. I have a feeling that, regardless of the topic, they are leaving the same anti-US material on other sites, probably as far off topic as here; although I do hope they get together, as per the man’s suggestion. They will make a wonderful couple. > I have been told many times by Argentines that they are not Latinos, they are European. Argentina is a melting port country the majority are “Italians who speak Spanish”. That there is racism amongst the white majority in Argentina, you bet, and that will hopefully change with education and progress. “But you don’t look Mexican!” Ignorance feeds racism. I also object to the way they categorize everyone here who comes from a Spanish speaking country as “Hispanics”. We may all share a common language (with great variations) but we should not all be put into the same box which takes away cultural identity. Take care, and I hope you enjoy your stay in Buenos Aires. In spite of all the problems, it’s a nice cosmopolitan city, perhaps not “Paris” but I sometimes miss it. Hi Bianca. I love your blog and I want to give you my support as well. Comparing Argentina’s economy/society with the US is not the focus of your articles and these people will never understand that. Please keep up the good job! Thanks Juancho! As you will see in my most recent post, if I ever decide to do that kind of comparison I will let you know first off! Please forgive me for the harshness of my last comment. I read your post after reading several articles in La Nación and Clarín that just pissed me off and I let my irritation with the the naysayers be expressed in my last comment. I feel many papers including several from abroad such as the Wall Street Journal continuing to bash Argentina because they want them to fail more than they want to them to succeed with unorthodox economic policies.. They have been doing this for the past 10 years, and Argentina still has not fallen yet, but they predict that it will fall every year. The same narrative gets old after a while. Google past articles and you will see how it constantly repeats. I understand it´s part of the persona of your blog but when you are giving haughty comments about Argentina, you should realize you are going to tick off many people. Especially the peronists.. hahaha… and be careful that CFK doesn’t read your blog because she just started using twitter quite often and she may comment like she responded to Actor Ricardo Darín last weekend over facebook. And she may deport you haha.. just joking.. Anyway, please continue on writing, but try to take into account the other side of the story, because it does exist even though its hard to see it because of all the bad press. And I really really really really would appreciate if you weren’t so patronizing about Argentina. Its kind of like a none jew saying that Israel has too much power in the United States- many peope would accuse them of being anti-semetic- though everyone in the know understands Israel has a lot of influence over the United States ( think of congressmen Jim Moran or others who tried to challenge the status quo, they were bashed as anti semites even though they were just stating the truth, but if you were a jew it would be perfectly fine) So, its understandable why some Argentine´s might be very annoyed with the ´Tude in this post…. We are not foreigners dictating how things should be run in this country with prescriptions learned from our elite institutions from the first world. Instead, I believe we should aspire to be foreigners who try to understand how efficiency and healthy growth can be achieved without compromising the cultural aspects and respecting the dignity of the country we have immigrated too or care about. Those are my two cents on the matter.